Too Much Inventory — The Distributor Board Inc.
Everyone in your supply chain and customer fulfillment process from suppliers to customers adds a safety factor to their lead time. Step one in eliminating the "pad" is to challenge people to provide realistic lead time estimates. Does the customer really need the product next week, is the quantity forecasted correct or has it been padded by your own sales department? Are your buyers adding 2 weeks to lead time to make sure that they do not run out of product? Step two is to explore ways to execute tasks in parallel, rather than sequentially. For example, can we ask our principle suppliers how we can work together with them to reduce lead times? The really good news is that progress made here leads to permanent reductions in the level of inventory without affecting fill rates. One of our clients said "we do not have much obsolete inventory." After we developed a report to capture those items it turned out to be 20% of their total inventory! Putting someone in charge of working on disposition and prevention of excess inventory is a good first step. Without an "owner" it is too easy for everyone, management included, to avoid the issue. Someone in your company is making decisions daily on how much product to order from suppliers who may be half a world away. On a regular basis, decisions are made on order quantities and required deliver dates for purchased materials. The sales and marketing departments ask for inventory to be purchased to support customer projections of demand. The result is cash being committed to inventory. We recommend that you establish a monthly Sales and Operations Process including a management review to look at current and projected inventory levels. It's a lot easier to not purchase inventory than it is to work it off after the fact. More experienced purchasing people know that there are many approaches to obtaining the lowest price without buying a six month supply. For example, combining several items for one buy may get you the same pricing as ordering more of just one item. Make sure that your buyers understand the impact on inventory of their decisions. Include Purchasing in the Sales and Operations review mentioned above. Focus the discussion on optimizing the balance between purchase price and the carrying costs of the extra inventory. Distributors have not typically used these programs, but they may be available. These programs shift some of the inventory back on your suppliers. If you have a supplier looking for an opportunity to do business with you, they will probably be more receptive to a new program like this than will your incumbents. Vendor managed inventory may save more money in terms of warehousing and carrying costs than a price reduction. Everyone wants to respond to a new customer or a request from an existing account, and they should. Your company needs a process to review the decision on how much of the new item to stock. There should be follow up to see if the original forecast is achieved. Here's a radical idea, challenge your sales and marketing people to eliminate two "old dogs" from the product line for each new one that they add. Are you really sure that the new color, size, feature, or package will increase sales? What has the track record been on previous product changes that were supposed to increase customer demand? Manage the change process to sell existing inventory. We have worked with several clients where the lack of accuracy led to lost sales and lost customers. Establish a measurement of inventory record accuracy. Identify the cause of each error and take corrective action to prevent it from recurring. If you rely on a periodic physical inventory and you do not have a cycle counting program, we expect that you will have more issues. Expediting is the business function of trying to improve a promised delivery date from a supplier. De-expediting is equally important. Customer order changes, especially in the case of special or custom orders, need to be communicated immediately. 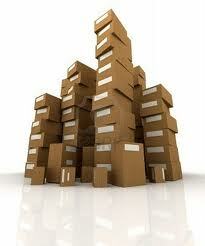 Otherwise your suppliers will be producing or shipping inventory that you and they don't need or want. Most distributors know the turnover rate for their business in total. However, inventory decisions should be made at the item or product line level of detail. Measuring turns by category or for your "A" items can give you great insight into where the investment in inventory is not paying dividends. What should we add to this list? What are your concerns about inventory levels? We would love to hear from you.